Florida is well-known for its sunny weather, beautiful beaches and amazing tourist attractions. Florida also has a serious side when it comes to positions of office and authority. While a notary is not a government position, it does carry with it an authority and responsibility that affects important documents and transactions. Individuals that are commissioned per the state’s process should ensure that they follow all rules and guidelines so that their transactions are upheld in the event of a dispute. Whether you are a notary due to your profession or because you made a personal decision, it is a position that deserves a professional attitude and respect for the authority assigned. This can be clearly demonstrated in the quality of materials and tools that you use during the process as well as the actions you take when performing in this capacity. Florida has many of the same standards as other states but if you are a notary coming from somewhere else do not make any assumptions. You should always check the state board's website and proof the image before finalizing the order. Florida requires the use of a black-inked stamp so that the image can be seen on any photocopies that are generated. The embossing seal can be used in conjunction with but not on its own and there are no regulations regarding shape and size of either one of the images. They must include the following information: the notary’s name, “Notary Public-State of Florida”, expiration date and commission number. 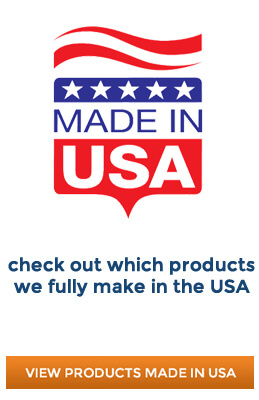 The Florida state seal cannot be used on the image but other icons may be included per general formatting and the bonding company can also be added but is not required. 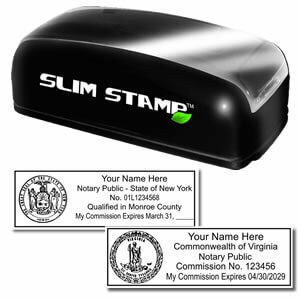 Remember that only black ink can be used if you decide to order the traditional rubber notary stamp with a separate ink pad. 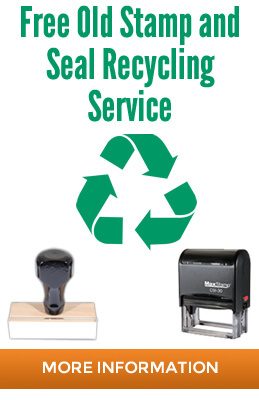 The notary’s stamp or seal is a necessary tool of the trade and should be ordered from a reputable vendor that has a solid reputation for accuracy and compliance, quality and wide range of inventory. 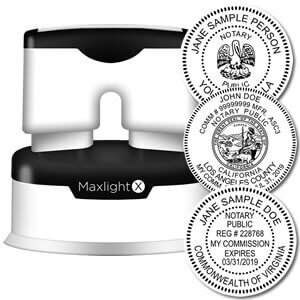 When it comes time for you to find a notary public stamp, the best place to start looking is at online manufacturers that specialize in these products. The majority of vendors have taken the time to ensure that their products meet state regulations and provide different format options based on these guidelines. 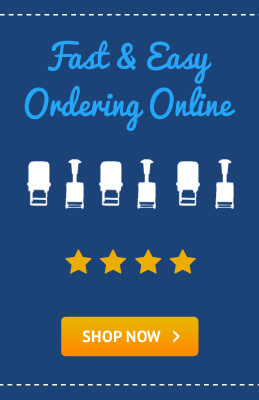 When placing your order with the online vendor you can check out their inventory of notary sets and packages which can include several stamps/seals, additional ink and the record book. All notary transactions must be documented and this book makes an ideal resource as it already has the columns for information formatted. If you should ever be audited then you can simply pull out the organized records for them to review! 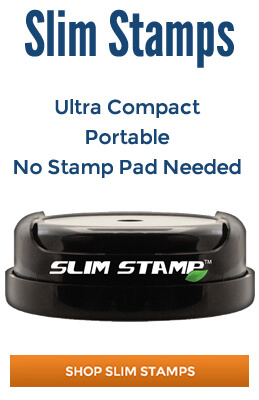 Click To View More Premium Pre-Inked Notary Stamps!